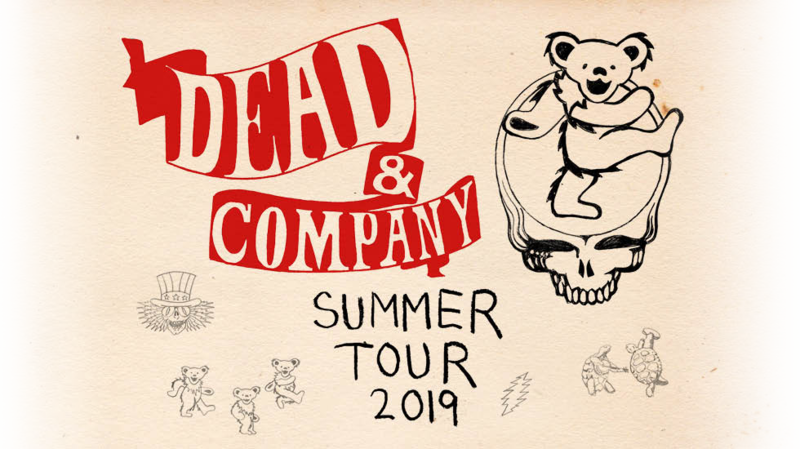 CID Entertainment will join Dead & Company on the road once again to offer VIP Packages that include a premium reserved seat or early entry to the General Admission pit. The summer tour will also feature a new VIP package that grants early entry to the lawn with a Dead & Company branded chair. Additional Dead & Company VIP perks range from access to Loose Lucy’s Lounge to a limited edition, screen printed Dead & Company poster. For fans seeking overnight accommodations, a limited amount of Travel Packages will be available that bundle tickets with hotel reservations. 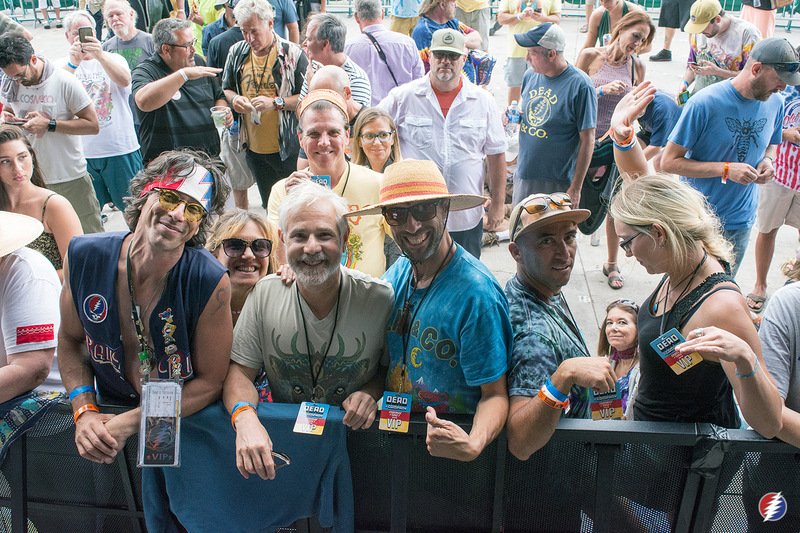 Dead & Company VIP & Travel Packages are on sale now! 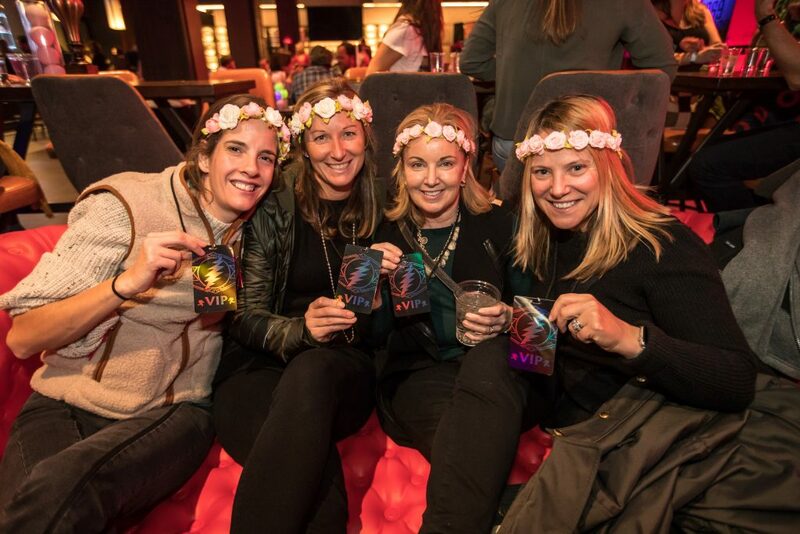 Experience Dead & Company in a new city with an official Travel Package. All Travel Packages include the following amenities. Travel Packages will be available in Mountain View, George, Chicago, Philadelphia (Camden), Foxborough, Flushing, Charlotte, Atlanta, and Boulder. Click your city for more details! *Premium reserved tickets do not include VIP access. **Transportation availability will vary by city. Package price is $249. Please note, package details may vary by venue. Click your city for more details! Package price is $399. Please note, package details may vary by venue. Click your city for more details! Package price is $749. Please note, package details may vary by venue. Click your city for more details! Package price is $119. Please note, package details may vary by venue. Click your city for more details! Please note: you must be 21+ to purchase this package and check in to the hotel. *Loose Lucy’s Lounge will not be available throughout the show. Please note: you must be 18+ to purchase this package and check in to the hotel. Q: Can I choose whether I get a General Admission Pit ticket or a Premium Reserved ticket*? *Please note, the Dancing in the Streets Experience packages include a lawn ticket. Lawn tickets do not provide access to the GA Pit or reserved seating. Q: Can I acquire Accessible Seating as part of a CID program? A: Most venues offer accessible seating areas to accommodate their guests. Availability and type of accessible seating tickets will vary based on each venue’s policies and/or the type of event taking place. If you would like to inquire about Accessible Seating as part of a CID program, please reach out to us at guestservices@cidentertainment.com or 888-805-8930 immediately after purchase. We will walk you through any available options. Q: Can I purchase a CID Package at the Box Office? A: No, CID Packages will not be available for purchase at the Box Office. You must purchase the package online in advance. 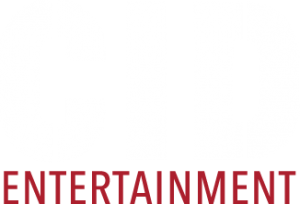 Q: Can I call CID Entertainment to purchase packages? A: No, we are not able to process any orders over the phone, though we are always happy to help walk you through the purchasing process. 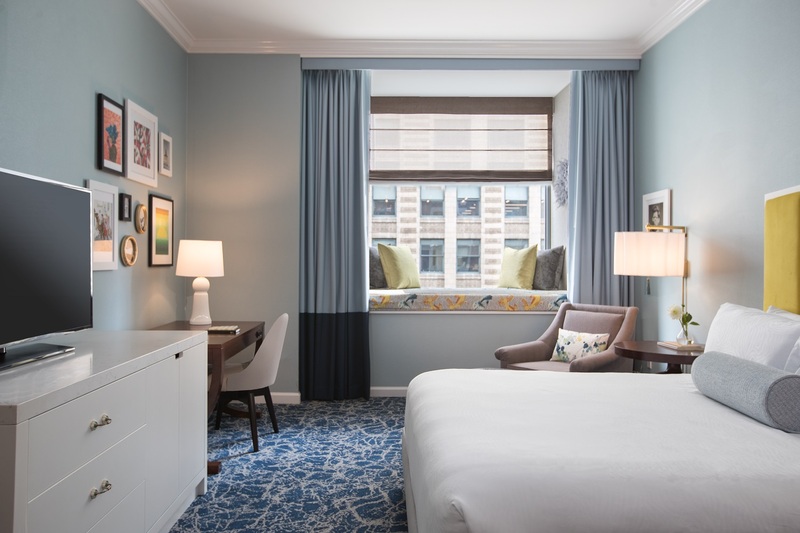 Guests will need to purchase our packages online following the links on our website. Q: Can I upgrade to a CID package if I already purchased a regular ticket? A: Our ability to upgrade depends on a few different factors, such as availability, the venue, and date of contact. Please reach out to our Guest Services team at 888-805-8930 or via email at guestservices@cidentertainment.com to inquire about any upgrade availability and we will be happy to discuss your options with you! A: During the purchase process, you will have the option of having your tickets mailed, printed at home (E-Ticket), or picking them up at Will Call. You will need your tickets in-hand to check in with us at the event to ensure you get to take advantage of all the perks that come with your package! If you select Will Call as your ticket delivery method, you will need to pick your tickets up from the box office before heading to our check-in. A: We will provide the check-in location and time for each show in an informational email that will be sent to the package purchaser approximately one week prior to the concert. Q: When will ‘Loose Lucy’s Lounge’ be open? A: The hours will vary with each event, though the lounge is typically open until the beginning of the second set. Exact times will be sent in the informational email that goes out to purchasers approximately one week prior to the event. Please note, the lounge will only be open before the show for the 6/3 & 6/4 Los Angeles shows. A: Almost all merchandise will need to be picked up on-site at our check-in on the day of the show. We are unable to ship out any merchandise that is supposed to be picked up on-site. Please note, the limited edition, screen printed Dead & Company 2019 Tour Poster for Steal Your Face VIP and Golden Road Super VIP guests are exceptions. These specific merchandise gifts will be shipped post-event directly to the original package purchaser. We will reach out to guests via email closer to the event date to gather their preferred shipping address for these items and guests will be required to provide their address by a specific deadline in order to have those shipped. 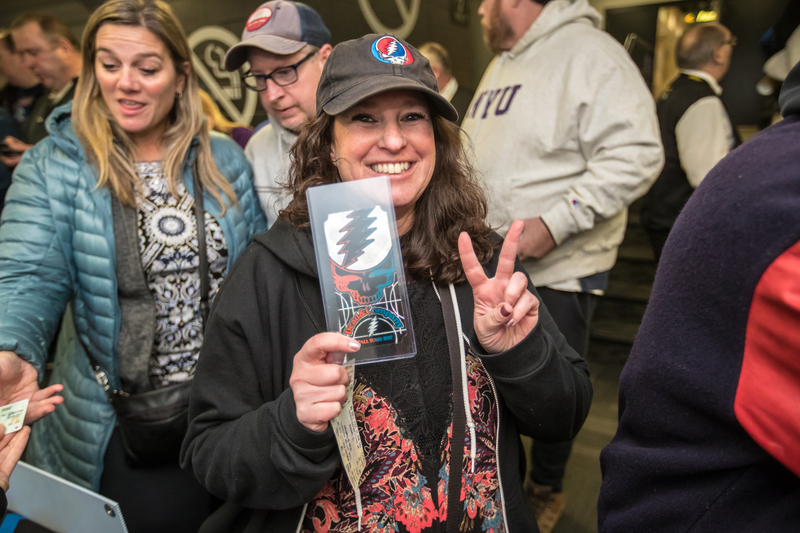 A: For Scarlet>Fire Seamless, Steal Your Face, and Golden Road purchasers, guests will have early access to the GA pit or reserved seating in order of their arrival. Upon completion of soundcheck, CID guests will be allowed into the venue in this order to get first choice of their spot if GA ticket-holders, and reserved ticket-holders will be able to access their seats at this time. Guests will be escorted to the merchandise stand before this time for crowd-free merchandise shopping. For Dancing in the Streets Experience purchasers, guests will receive early access to the lawn. Specific times for early entry will be included in the informational email sent to guests approximately one week prior to the event date. Q: If I purchased the Dancing in the Streets Experience, will I be able to use my Dead & Company branded folding stadium seat chair during the show? A: Yes! 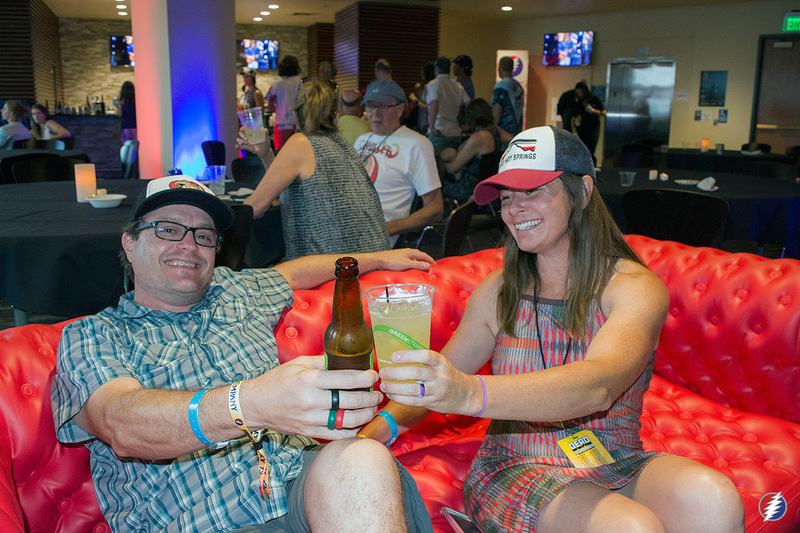 Dancing in the Streets Experience purchasers will pick up their stadium seat chair at our check-in before the event and are welcome to use it on the lawn during the show! A: The Golden Road Super VIP Experience includes (1) parking pass per order. 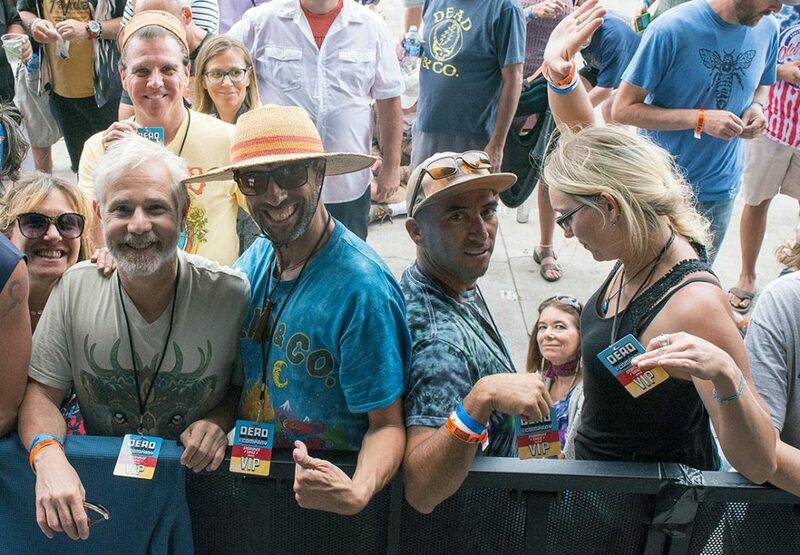 The Dancing in the Streets Experience packages, Scarlet>Fire Seamless Packages, and Steal Your Face VIP Experience packages do not include a parking pass. Q: The people attending the concert with me may be arriving late. How would they get their items from CID check-in? A: The original purchaser will check in for all package materials, and they will need to be able to distribute accordingly. Thus, we advise for your whole party to come to check-in at the same time to make it quick and easy. Q: I no longer have the credit card that was used to purchase my package. Will I still be able to check in for my package? A: Yes! Please be sure to bring a valid photo ID and a copy of your order receipt to check in. Q: What if I can no longer attend or change my mind and don’t want my package? Q: What if you didn’t answer all of my questions?! A: Please give our Guest Services team a ring at 888-805-8930 or send an email to guestservices@cidentertainment.com. We are open from 10AM-6PM ET; 7 days a week!